At Short Pump Dental, we pride ourselves on offering the best in comprehensive dentistry in Henrico, VA and the surrounding communities. When you come into our Henrico office, we promise to provide high-quality dental care for not just the adults in the family, but the children as well. A lifetime of great dental health starts as a child and we want to make sure that your child takes that first step on the right path. 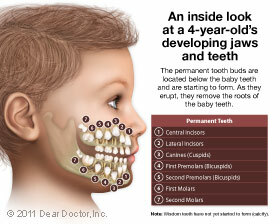 Primary teeth serve as the guides for the eruption of permanent (adult) teeth. They hold the space into which these teeth will erupt. Primary teeth will naturally fall out when the permanent teeth push against their roots, allowing the permanent teeth to take their proper place. Your child’s primary teeth will be there throughout most of their childhood; they help your child to bite, chew, and speak. Taking good care of primary teeth will lead to a lifetime of healthy dental habits. 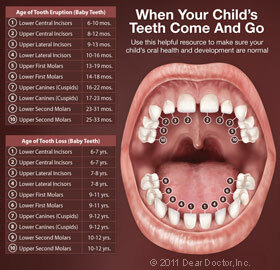 Your child’s 20 primary teeth will usually appear between six and nine months of age. The two lower front teeth tend to be the first to erupt, followed by the two upper ones. After that, the first molars come in, followed by the canines. If your baby experiences teething discomfort during this process, let us know and we’ll advise you as to what the best course of action is. Your infant’s gums and newly erupted teeth should be gently wiped with a water-soaked gauze pad or damp washcloth after each feeding. By the age of two, you’ll want to establish a daily brushing routine for your child with a small, soft-bristled toothbrush and just a thin smear of fluoridated toothpaste. Your child may need help with this task until the age of six. The American Academy of Pediatric Dentistry recommends that you bring your child in to see us before his or her first birthday. This may sound early, but it allows us to not just check for cavities and developmental problems, but teach you proper pediatric oral hygiene techniques as well. There are many different forms of tooth decay that can affect small children and babies. One such example of tooth decay is Early Childhood Caries. This type of tooth decay can develop rapidly and progress from the hard, outer enamel layer of a tooth into the softer, inner dentin within six months. We’ll do all we can to make sure that your child has a comfortable and relaxing experience with us; we want to guarantee that your child has the best possible dental health for years to come! Topical Fluoride – Fluoride incorporates into the enamel of teeth, making them harder and more resistant to decay. Fluoride exists in toothpaste and drinking water, although in small quantities. In our office, we can apply a higher concentration on your child’s teeth for maximum protection. Dental Sealants – Dental sealants are a plastic coating applied to the chewing surfaces of the back teeth. We apply these coatings because those small crevices on the back teeth become perfect environments for decay-causing bacteria. Dental sealants are easy to apply and will provide years of protection. Root Canal Treatment – Root canals are used mainly to save an injured or severely decayed tooth. While many people think that root canals only are used on permanent teeth, they’re also used on primary teeth because of their importance as guides for permanent teeth. 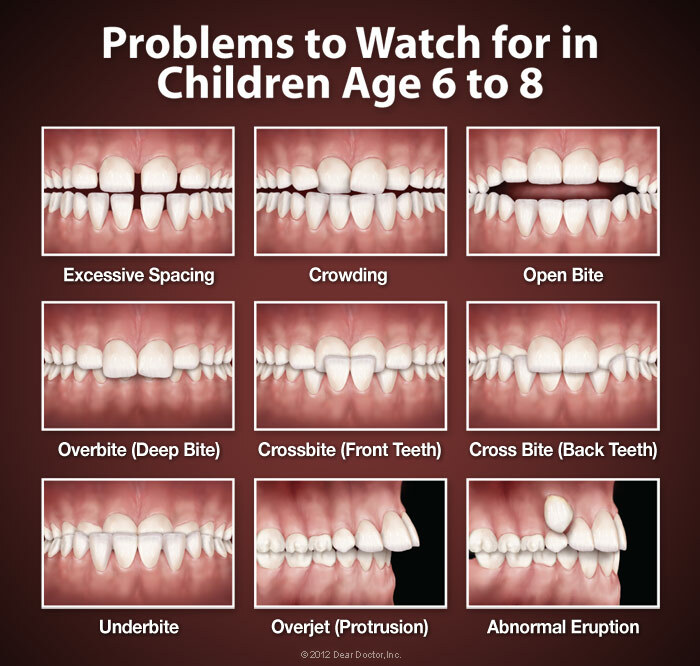 Saving these primary teeth can prevent your child from getting a bad bite that may require future orthodontic treatment. Bonding – Chips and minor fractures to the front teeth can be repaired with tooth-colored bonding materials. These lifelike resins made of plastic and glass can be used on both primary and permanent teeth. By the age of seven, most bad bites have become apparent. Interceptive orthodontic treatment at this time can help direct proper tooth positioning and jaw growth, simplifying or even eliminating the need for treatment later on. 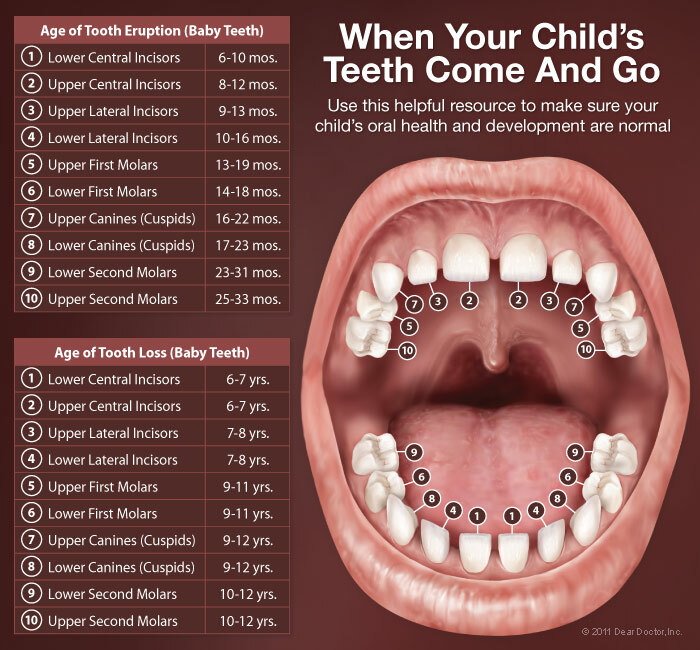 Many orthodontic problems can be detected early, which is why a trained professional should evaluate your child during his or her growth and development. According to the American Dental Association, an athlete is 60 times more likely to receive dental harm when not wearing a mouthguard. This is why we highly recommend a custom-made mouthguard if your child participates in sports. Our custom-made mouthguards will be made using a model of your child’s teeth and guarantee greater protection and comfort than an off-the-shelf model. Getting a mouthguard is an investment that pays off when it comes to avoiding pain, suffering, and also future dental costs. Contact Your Henrico Pediatric Dentist Today! If you’re interested in scheduling an appointment with us for your child, we encourage you to fill out our online appointment request form. Alternatively, you can give us a call at (804) 747-0116. If you have any questions relating to pediatric dentistry or our practice, feel free to contact us. We hope to see you soon and put your child on the path to a lifetime of great dental health!